The basic US database of healthcare providers, plus our powerful targeting and list-building tools. Create lists of providers by any or all of these criteria: Taxonomy code (specialty for physicians or facility type for hospitals, clinics, labs, etc. ); Zip Code, State, service area wealth, service area urban/rural status, individual/organization, gender, new providers. Then output the data for use in Excel or other systems with little or no technical skill. The SharpMail feature even creates genderized salutations, and selects the best name and address for each provider -- then proper-cases it for accurate, professional communications. CP ListMaker software requires Microsoft Access 2007 or later. 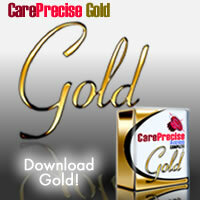 Includes CarePrecise Access Complete and CP ListMaker with SharpMail. Delivery is via download. After purchase you will receive an email containing a download link within one business day. Also available with quarterly or monthly subscriptions to data updates.